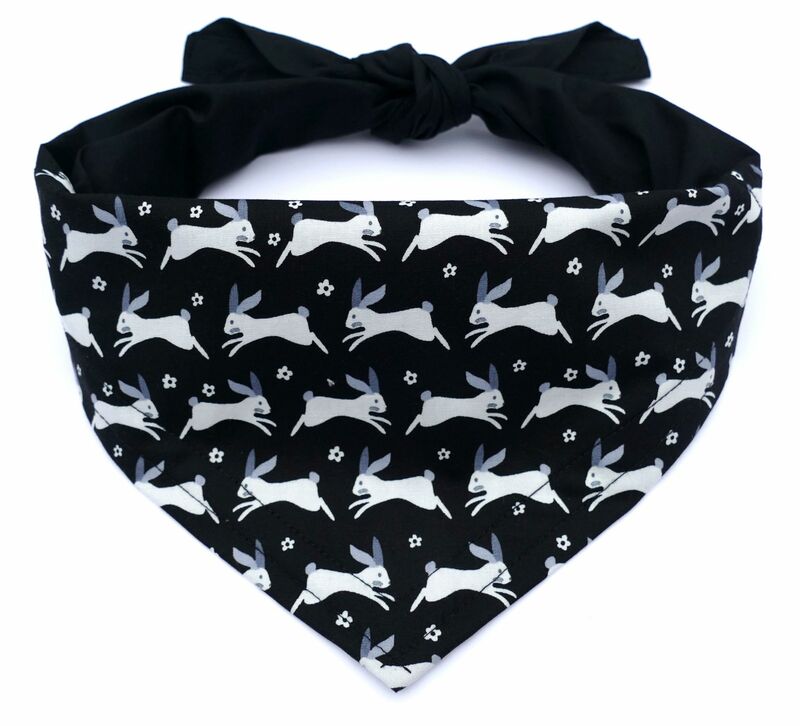 A super-stylish Racing Rabbits dog bandana! 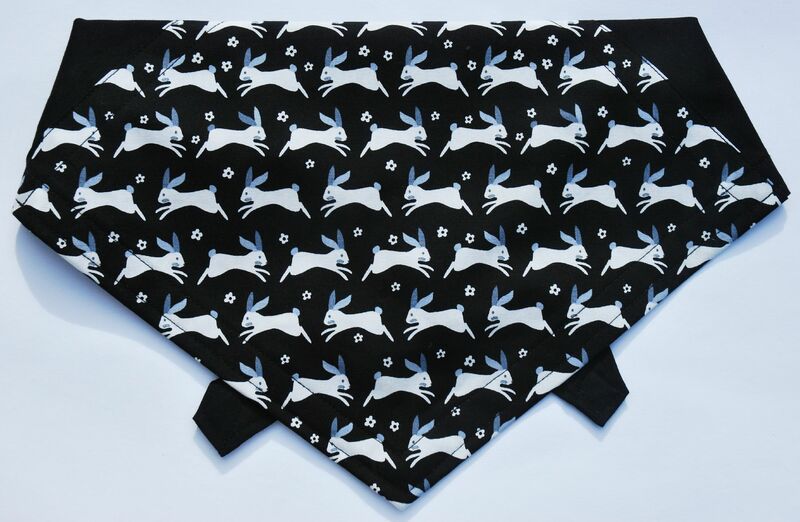 This beautiful design has a panel of black and white Racing Rabbits cotton complimented by a black cotton poplin background/sides/ties. 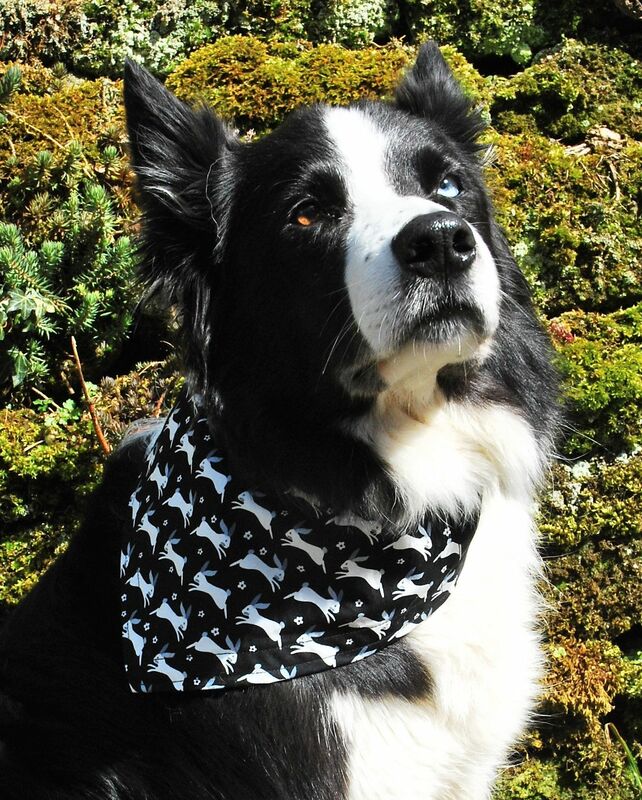 It's a perfect Spring accessory for any dog, and is particularly fabulous for any dog that is rabbit obsessed! 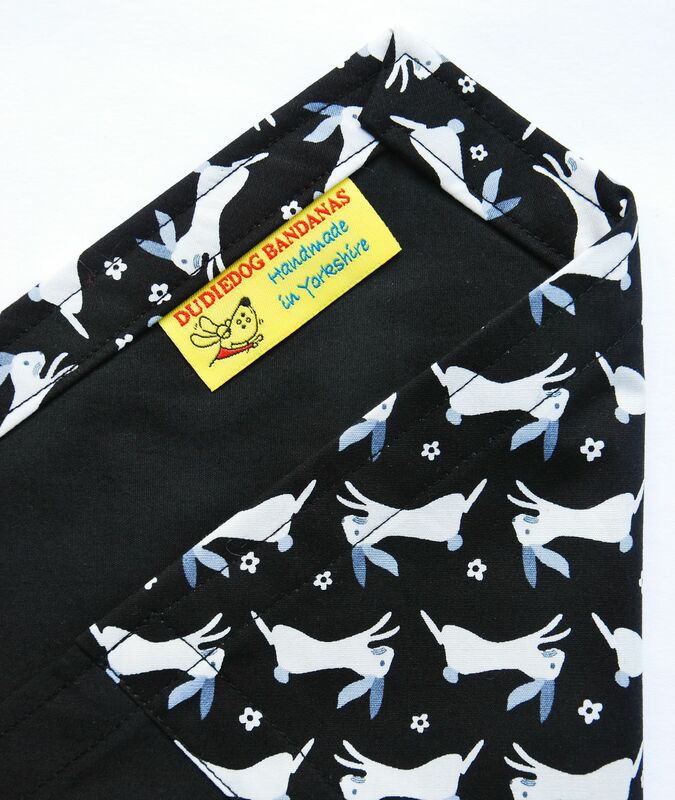 A perfect bandana for all Bunny obsessed dogs!